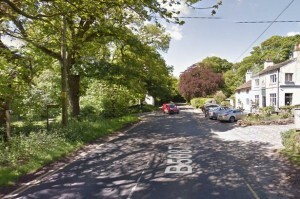 The fatal collision happened on Macclesfield Road (B5087) in Nether Alderley, near the Wizard pub on Monday, 24 November at about 7.45pm. 24-year-old Sophie Spencer was tragically killed when her silver Peugeot 206 hatchback collided with a tree. It is believed that her silver Peugeot was overtaking another vehicle, but swerved to avoid a black Fiat Panda travelling in the opposite direction resulting in her crashing into the tree. Firefighters from Macclesfield and Wilmslow stations used specialist equipment to extricate the car from the tree before cutting open the door to reach the injured driver. She was taken to Macclesfield Hospital but died of her injuries. Sgt Andy Dennison said: “We urgently need to speak with anyone who witnessed anything in relation to this collision, who stopped at the scene of the collision or drove past whilst the Peugeot was in situ at the side of the road. This article was added on Friday, December 5th, 2014 at 9:11 am and is categorised under General News, Macclesfield News, Traffic Accidents. Both comments and pings are currently closed. Error: Error validating access token: Session has expired on Saturday, 09-Mar-19 13:12:58 PST. The current time is Thursday, 25-Apr-19 21:50:00 PDT.